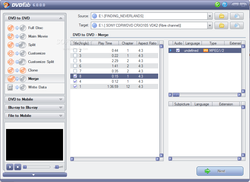 DVDFab DVD Copy is popular worldwide and known for its power and flexibility. 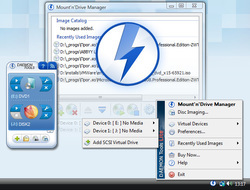 It enables you to copy DVD with one or two mouse clicks and customize the output with DVD Copy’s many settings. DVD Copy allows you to rip, copy, and burn DVD to a blank DVD disc or write the output content to a folder or copy DVD to ISO file onto your hard drive and media server, compress content to fit on smaller discs, the choice is yours! In addition, the DVD copy speed is very fast, and the quality is excellent. DVDFab DVD Copy is definitely the right all-in-one solution for making DVD backup of your expensive DVD collection. _Powerful and easy-to-use DVD ripping software which helps you rip and convert DVD to AVI, DivX, XviD video formats fast and easily. The output movies are playable on most of portable media players such as Acrchos Archos AV500, Archos AV700, Archos GMini402, iRiver PMP-100, Creative Zen Vision, etc. Ultra DVD to DivX Converter can export high quality movies, and the speed of ripping is very fast. It can rip almost all DVD movies in the market even they are CSS, REGION, MACROVISION, SONY ARCCOS protected dvd discs.